Conveniently located east of Seattle in King Count, just minutes from Redmond and Fall City. Rock Mountain Products is a aquatic nursery and garden center that specializes in Bamboo. 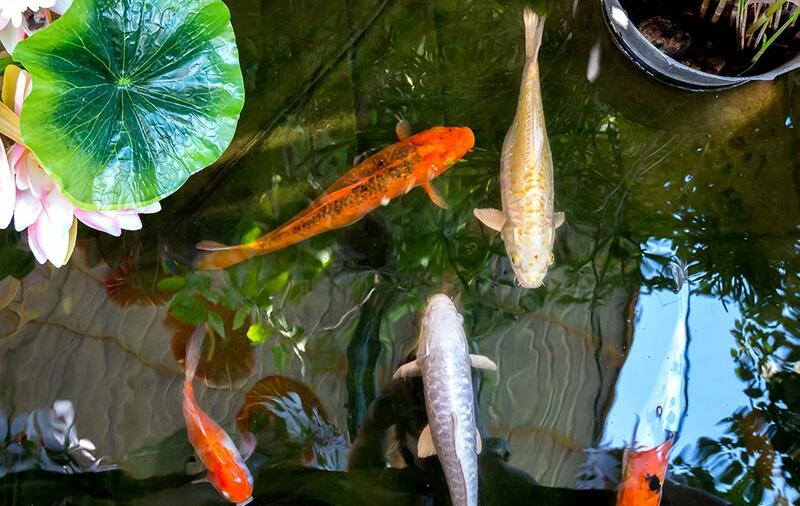 We also carry decorative and landscape stone along with pond equipment, pumps (including FlowRanger, Danner Hurricane, Alpine, Cyclone, Teton, PondMax and Surepro), liners, filters, pvc fittings, Koi, goldfish, aquatic plants, pond care products, Iron Mountain Faux Columns, pots, fish products, garden art, outdoor furniture and more. including popular species, i.e., Black, Golden, Green Fastuosa, Koi, Golden Golden, Crookstem, Robusta, Rufa, Red & Blue Fountain, Japanese Timber, Moso, Bory, and many other species of the Timber, Mid, Shrub, Clumping and Ground Cover Bamboo. Our natural and decorative landscape stone products include Pennsylvania Bluestone, Idaho Quartzite, China Quartzite, Slates and Granite, Montana Slates, Various River Rock, Column Rock and Fountains, Iron Mountain, Granite, Dimensional Stone, Stone Benches/Tables, Mexican and Indonesian Pebbles, Rubble Stone, Stone Slabs and Specialty Rock, Dish Rocks and Bird Baths. You have an idea, and we have the products to help your backyard and living space ideas come to life. Ready to get started? Come Visit Us Today! 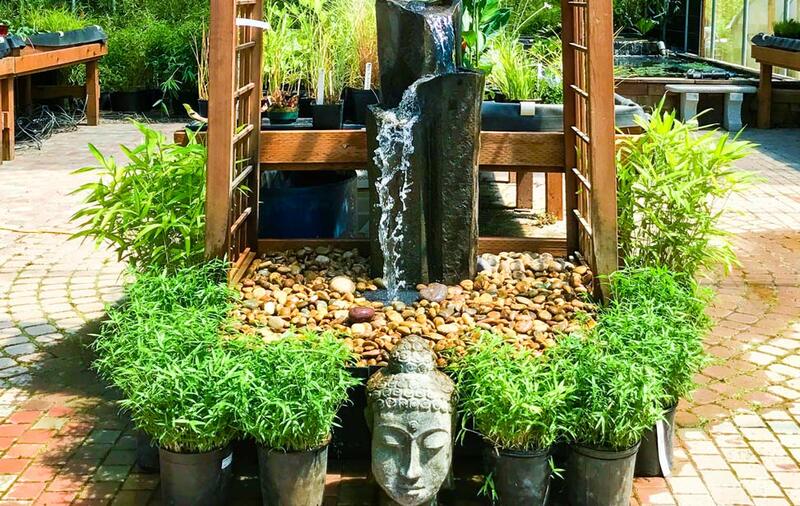 Rock Mountain Products carries a wide variety of bamboo, pottery, landscape stone, and aquartic nursery supplies. View our products to help bring your outdoor oasis to life. 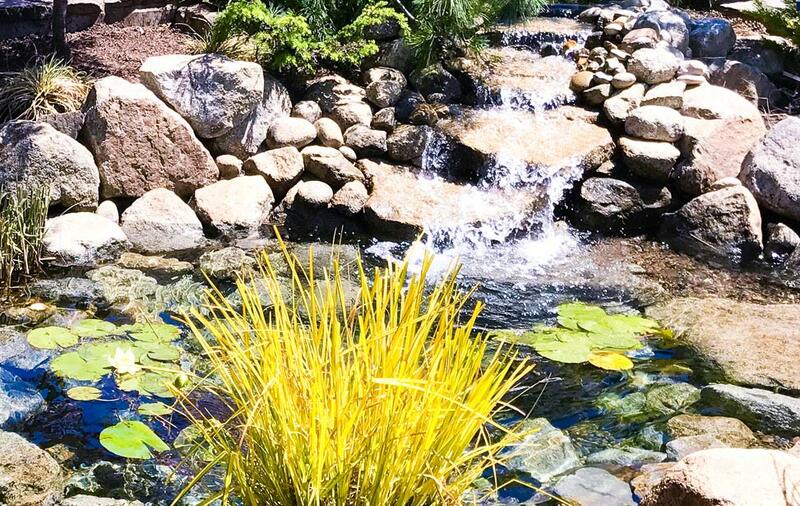 Looking for inspiration for your landscape, pond, patio or bamboo privacy screens? 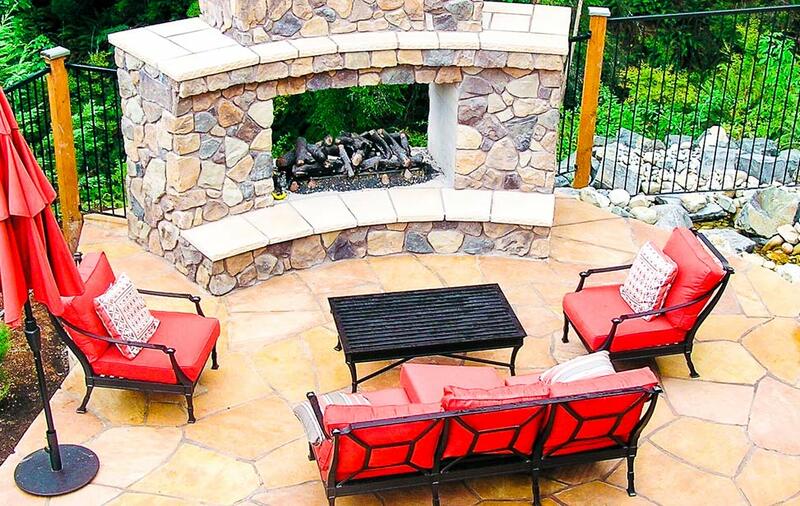 Check out our Photo Gallery to get ideas for your outdoor oasis. Ready to begin your project or view our products in person? Want to stop on by for your bamboo, pottery, aquatic supplies and landscape stone? Need Directions? Check out our water feature kits! We have pre-assembled fountain kits that make it easy to install your own water feature that includes a diagram on how to hook it up. The toughest part will be digging the hole! Since February 2016, we have added over 2,000 bamboo plants to our existing inventory giving us the largest inventory in the Puget Sound Region. We also have an overstock on some bamboo species and we are offering 40% off selected plants to make room for new plants. Watch for new ceramic pot shipments as we will continue to bring in new pots to maintain our large selection of colors, shapes and sizes.